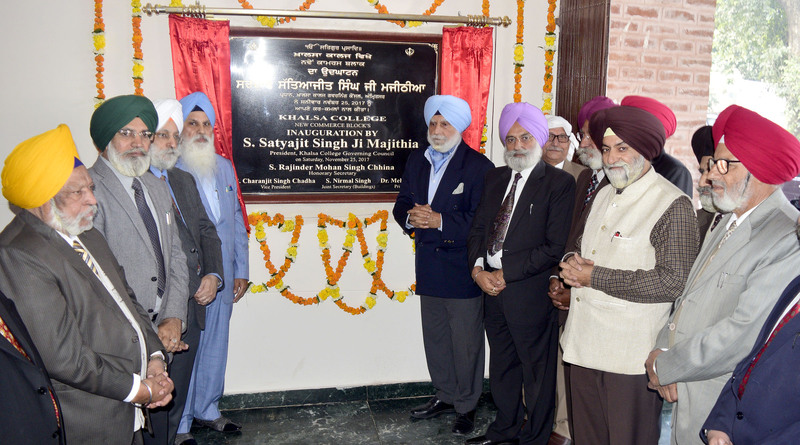 Khalsa College Governing Council President Satyajit Singh Majithia today inaugurated the new ultra-modern block for Business, Commerce and Economics at Khalsa College. The modern five-story building houses classrooms, seminar halls, reading rooms and departmental library. Built in a record period of two years the new structure is in consonance with the historic and heritage building of the main Khalsa College and its frontal elevation is an attraction and its most airy and provisions for the natural light has been made. 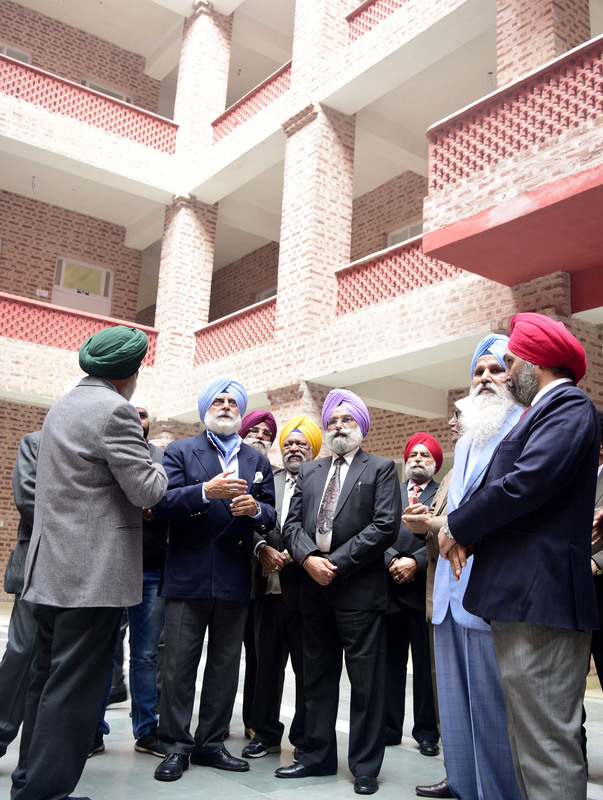 KCGC honourary secretary Rajinder Mohan Singh Chhina said and Principal Dr. Mehal Singh said the the need for more classrooms was being felt thus the new block had been added. 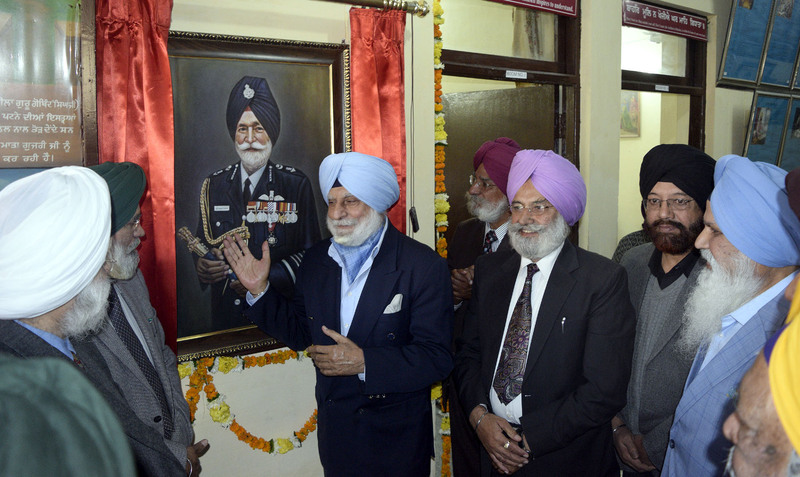 Majithia also unveiled the life size painting of legendary war hero Marshal of Indian Air Force (MIAF)Arjan Singh at Sikh History Research Library on the campus to commemorate the great soldier’s contribution to the air force. He said Arjun Singh’s father Kishan Singh studied in this historic institution and during his last visit to the College, he initiated a scholarship in the name of his wife Teji’s in 2011. 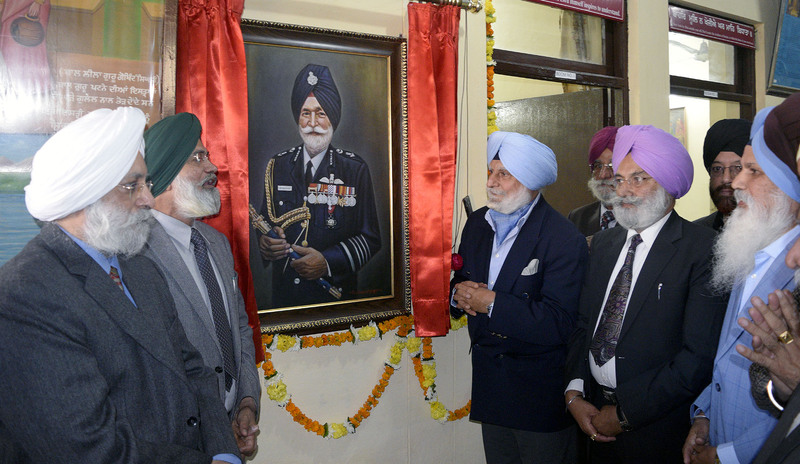 He said Arjan Singh was the only officer of the IAF to be given a distinction equal to that of Field Marshal. Chhina said the `great general’ revered the Alma mater of his father and thus constituted scholarship in the memory of his wife for the students of his native Kohali village (near Ram Tirath in Amritsar district) pursuing higher education at the College. Add. 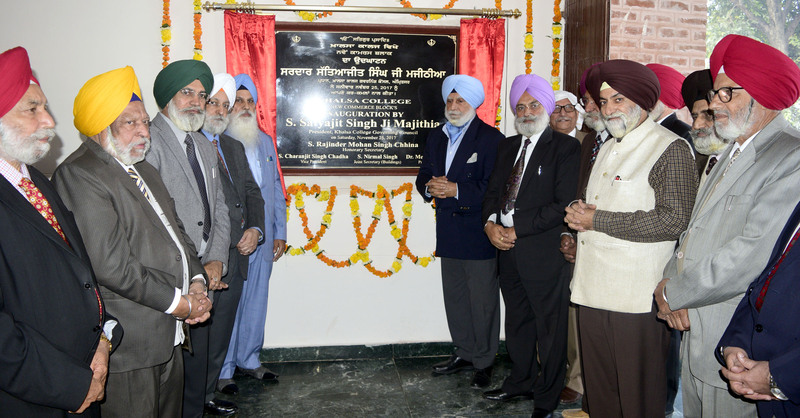 Honorary Secretary Swinder singh Kathunagal, Gunbir Singh, Sardool Singh Manann, Ajmer Singh Heir, Nirmal Singh, Sukhdev Singh Abdal, Jatinder Brar, Principal Dr. Jaspal Singh, Nirmal Singh Bhangu Other.